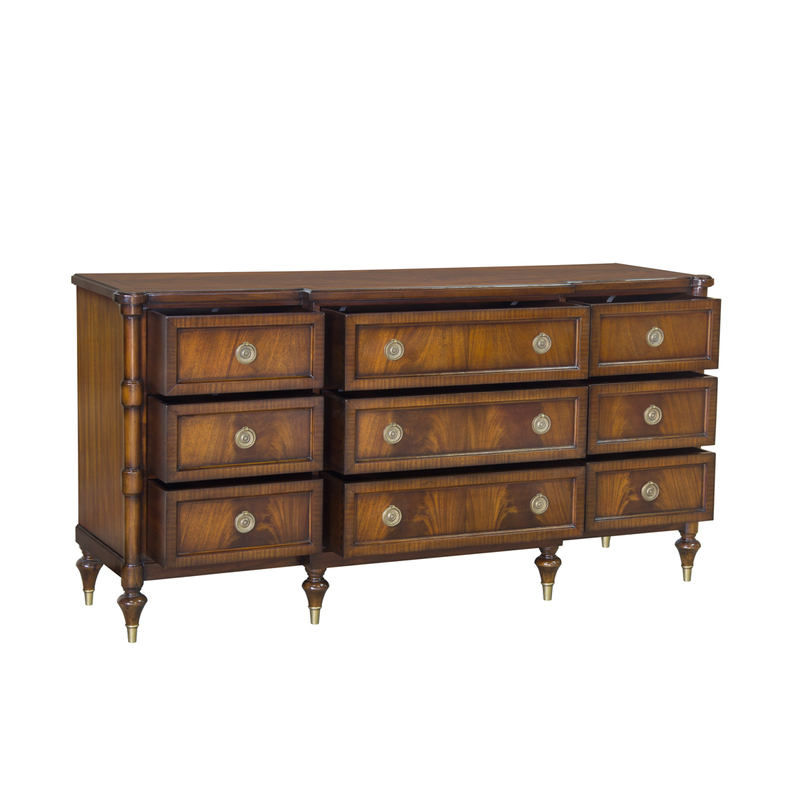 Good sized dresser showing rich flamed mahogany veneer on the 9 drawers and top. 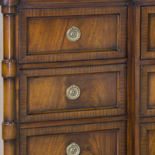 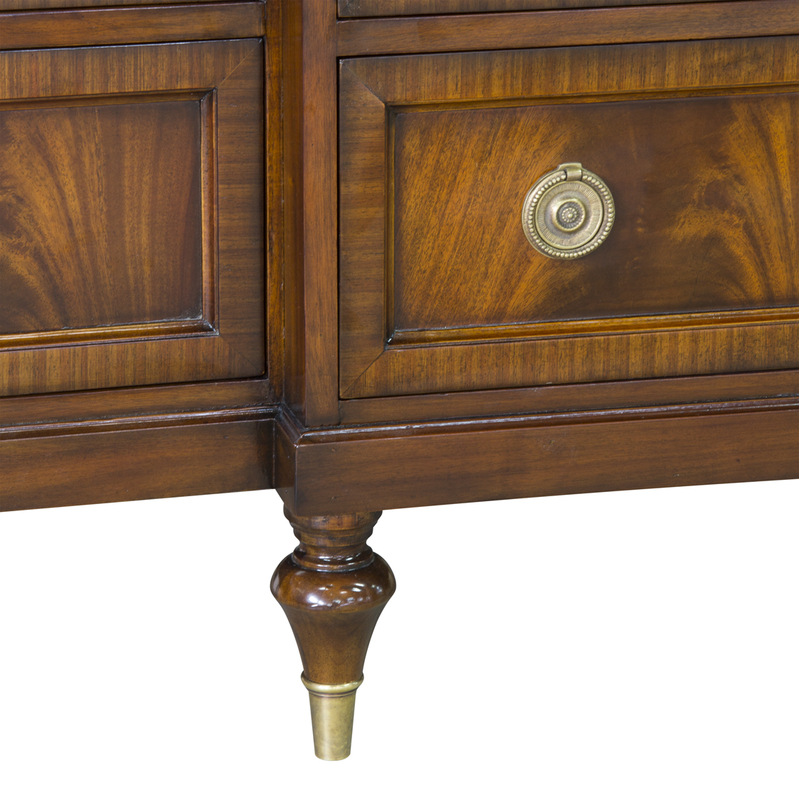 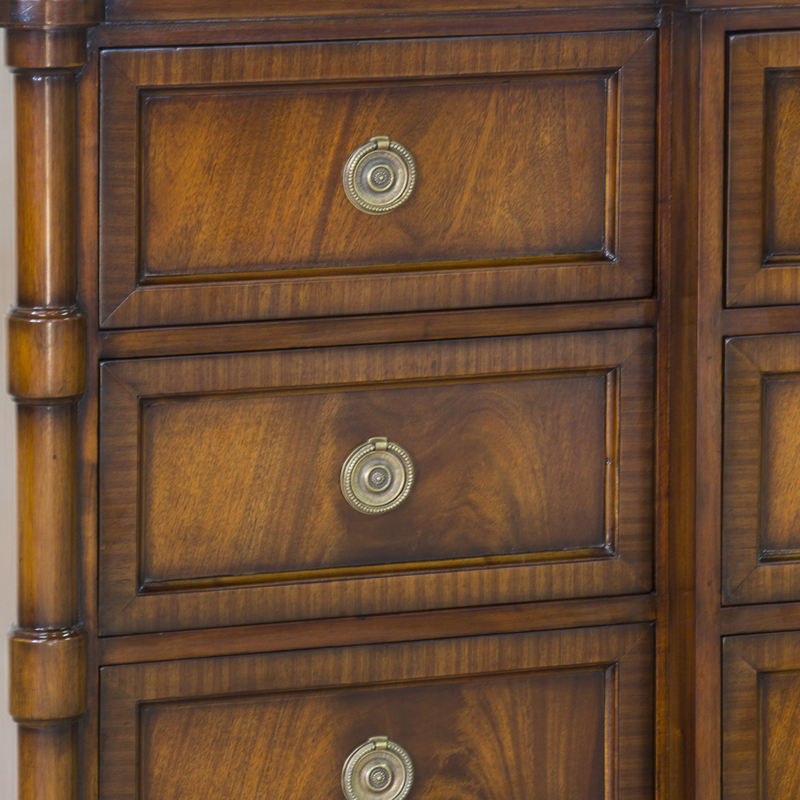 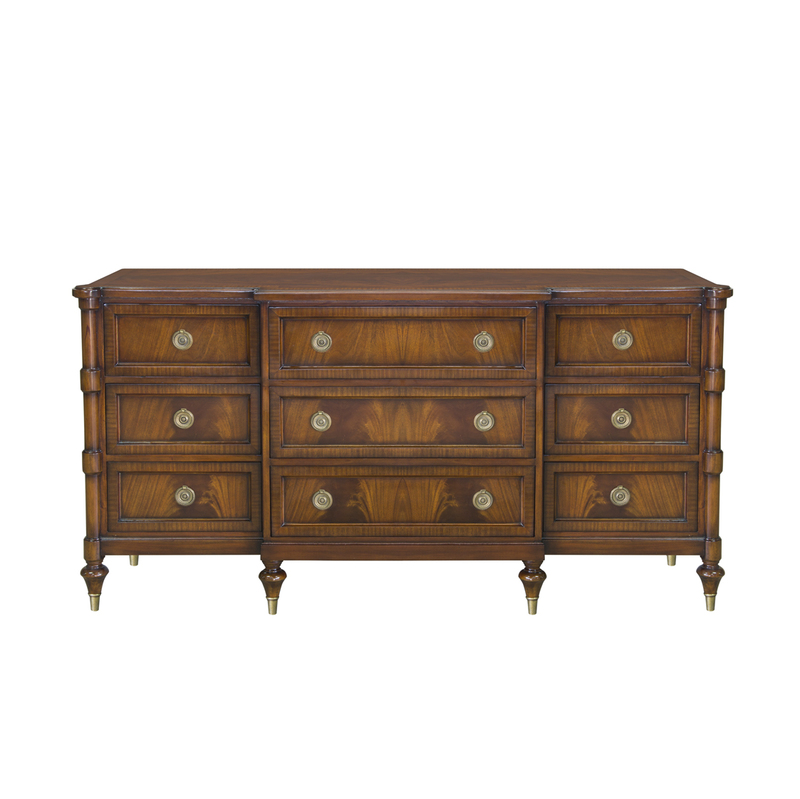 These drawers also have rosette brass pulls. 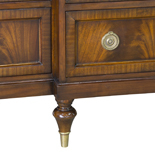 Legs are cylindrical with brass toe caps. 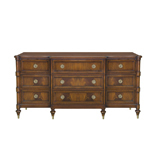 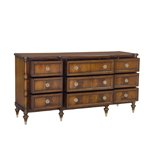 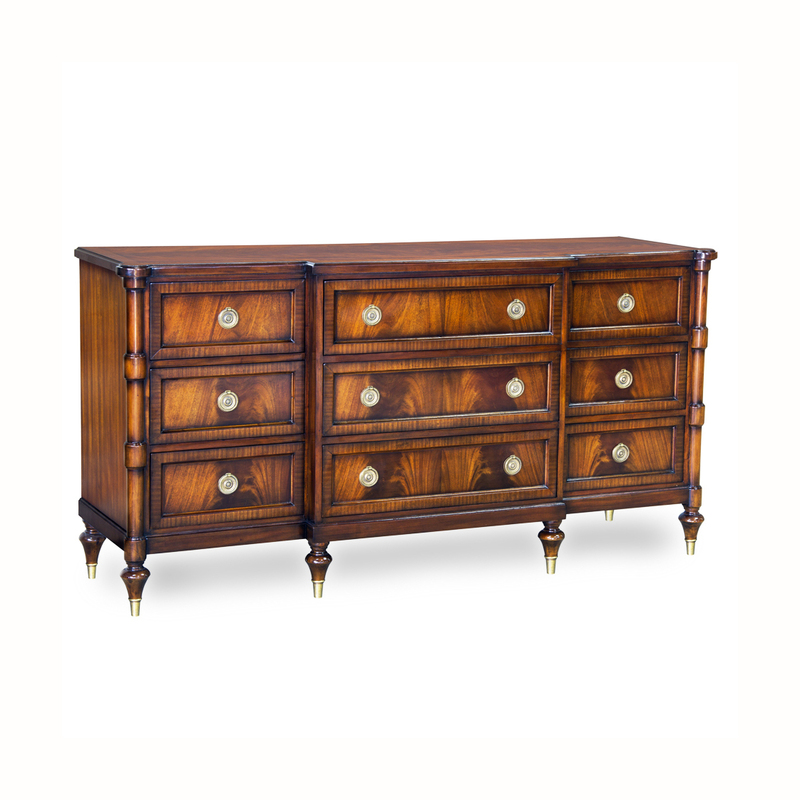 matching: 34121 bed, 34122 night stand and 34123 commode, 34125 mirror.